A wrap-style baby carrier without the wrapping. The award-winning Baby K’tan Baby Carrier lets you enjoy hands-free, hassle-free, buckle-free babywearing anytime, anywhere. This ready-to-wear cotton wrap slips on easily like a t-shirt and is individually sized XXS to XL for the perfect fit. 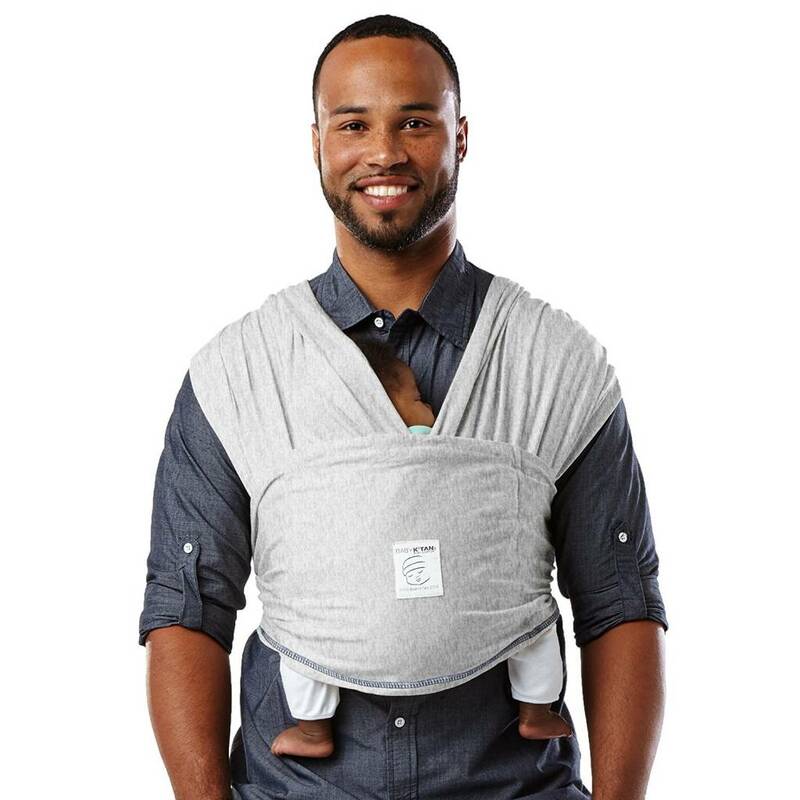 Its patented double-loop design and unique one-way stretch delivers the security you want and the versatility you need to be on the go, and snuggle your little one close. Moms can even nurse discreetly and bond through skin-to-skin care modestly. No buckling or excess wrapping to confuse or frustrate you. 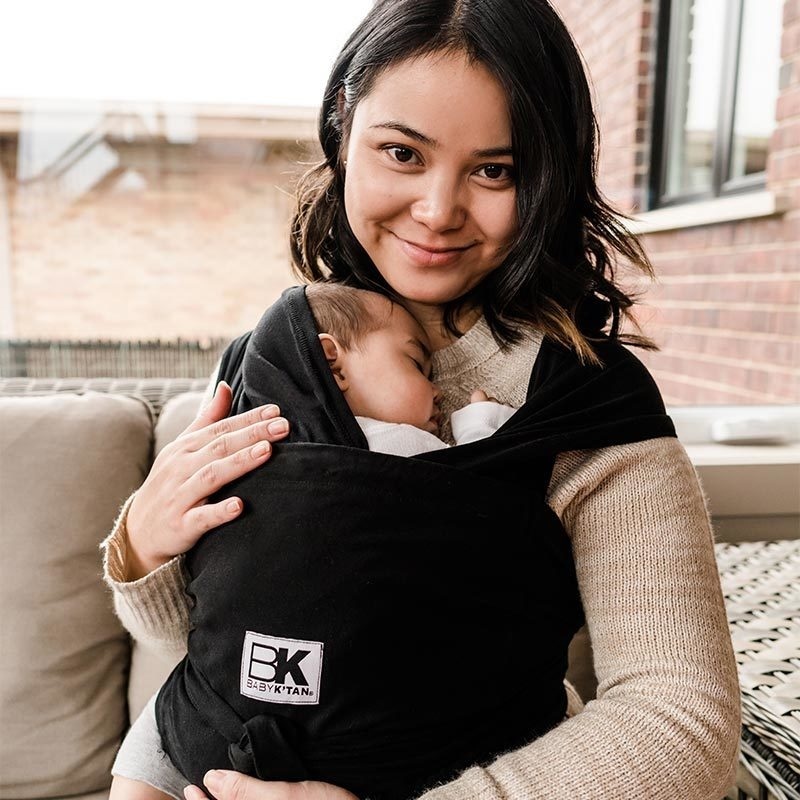 All Baby K'tan Baby Carriers come in a matching carry bag that converts to a sash which provides added support for certain positions in your Baby K’tan Baby Carrier. Multiple Ergonomic Positions from Birth-35 lbs. Comfortably carry baby from birth to toddlerhood. The Baby K'tan Original Cotton wrap offers 5 different wearing positions for the various ages and stages of baby's development. 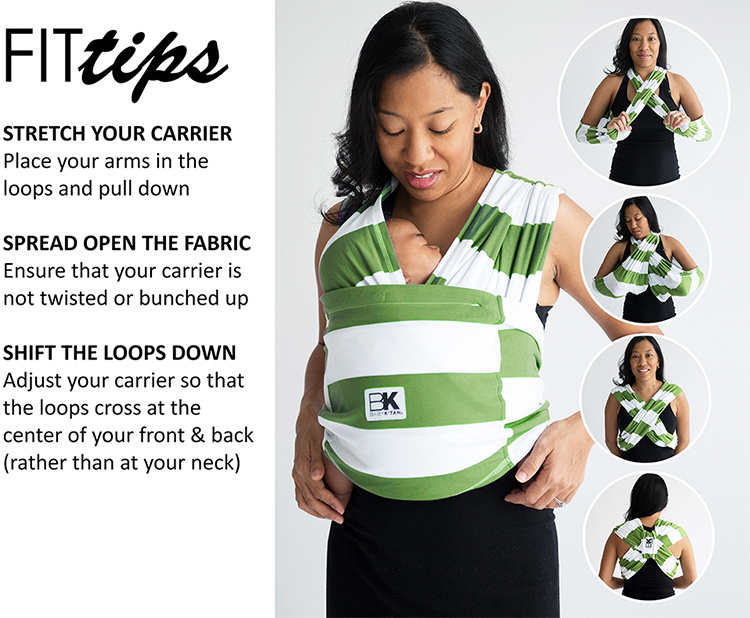 Quickly switch between carrying positions without having to remove the K'tan wrap carrier. Patented Design is Easy as 1-2-3. No wrapping, buckling or fussing with rings or snaps. 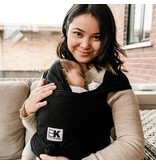 The Baby K'tan Original Cotton wrap has a patented double-loop design that is quick and simple to put on and take off. Just slip the K'tan wrap over your head like a necklace and put one arm through each side. Adjustable Loop. 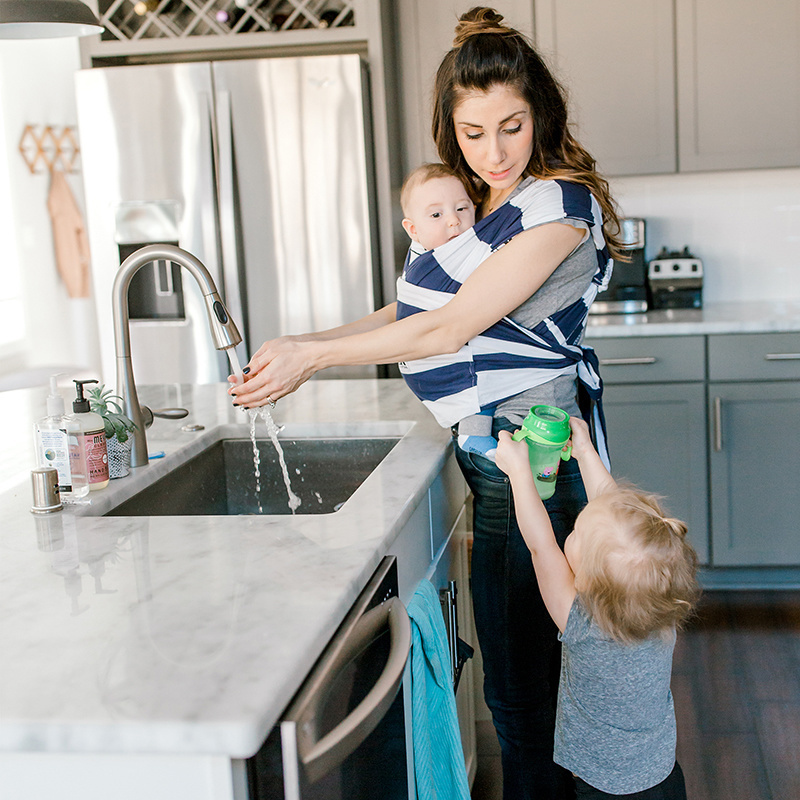 The patented double-loop design makes distributing baby's weight as easy as the pull of a loop. 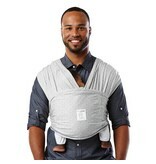 Pull down on the back loop to raise baby up on your body and distribute his/her weight evenly and comfortably. Convertible Carry Bag. 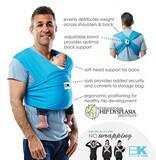 The Baby K’tan comes in a matching carry bag that doubles as your sash. Simply flip the carry bag inside out to convert it to sash mode. Tie the sash around yourself and baby for added support in certain positions. Hip Healthy. 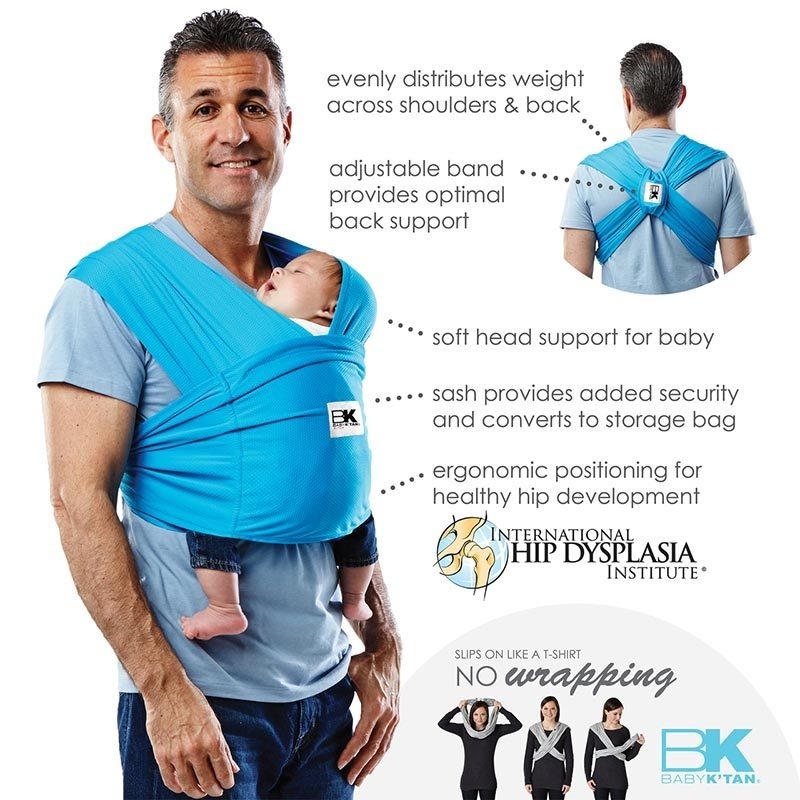 The Baby K’tan Baby Carrier is approved as hip-healthy by the International Hip Dysplasia Institute. Baby is worn in the natural seated position, with knees bent and hips spread, promoting healthy development. Baby K'tan ORIGINAL. The Baby K'tan ORIGINAL Baby Carrier is made of 100% natural cotton. Its soft, jersey-knit construction provides a cozy hold for parent and baby and feels just like your favorite t-shirt. Unique one-way stretch delivers a secure and snug fit. 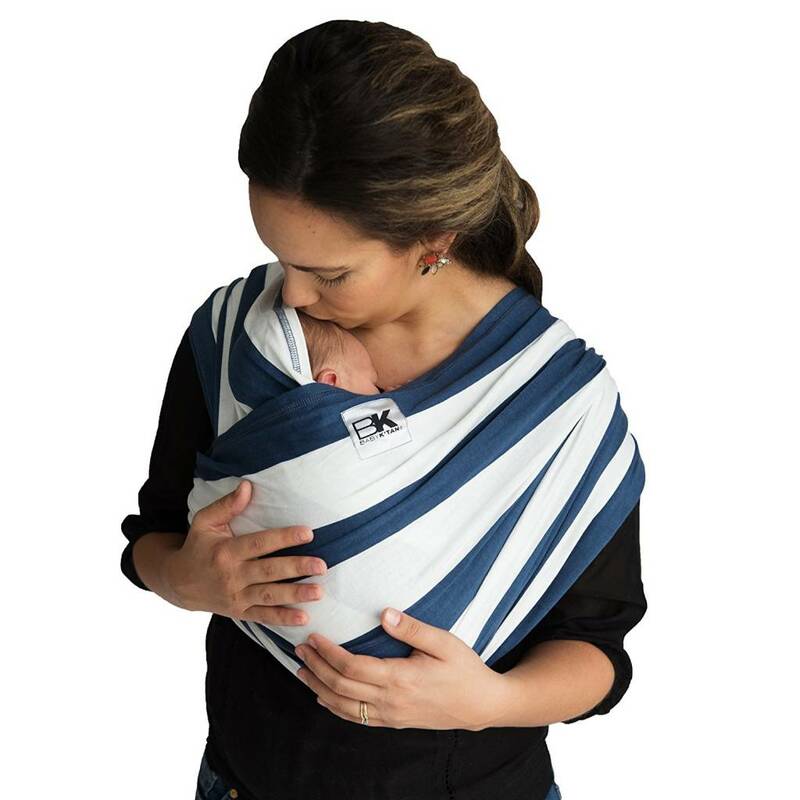 The Baby K’tan Original Cotton wrap is sized to fit the parent or adult who will be carrying the child (age or weight of child is not a factor). Use our sizing calculator to determine your baby carrier size. Simply enter your clothing size, height and weight. The Baby K’tan should fit snug in order to provide a secure hold. Enter your pre-pregnancy sizes and if you fall between categories, size down. The cotton baby carrier may feel tight at first, but will stretch with use.